What if you could entertain your guests or clients on a patio with a bar, grill, outdoor cooktop and outdoor fireplace? Or install stationary small, round cafe tables for your guests to sit comfortably and talk without having to stand holding their drink and plate; trying clumsily to shake hands with someone they just met. 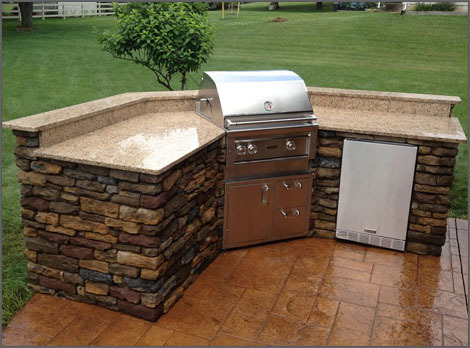 Laslo Kitchens are the experts on outdoor kitchen ideas and we have many more for you! We can also build for you an outdoor fireplace out of stone with marble counter tops on each side and stone tables for your guests to enjoy your gourmet meal. 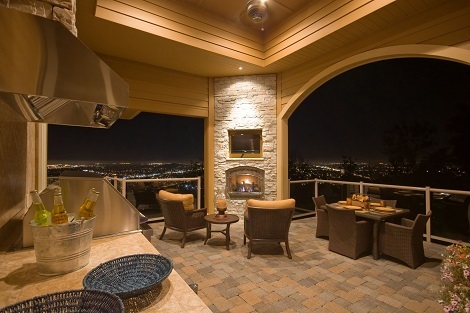 Comfortable seating and entertaining areas to help you enjoy your outdoor kitchen. 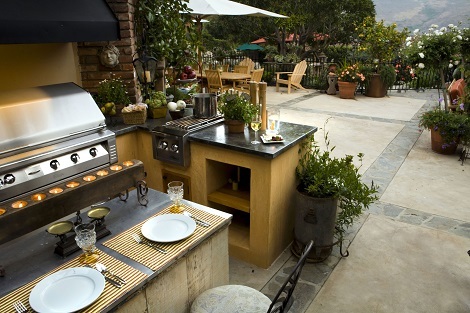 There is no end to the outdoor kitchen ideas we can help you design, with your style in mind. Custom design. Finest materials. Reliable and dependable contractors, and Laslo’s customer service managing the project from start to finish. Call us today or visit our showroom and let’s talk about your next outdoor or indoor custom design. Scroll down to see all the beautiful outdoor designs that you can create and the original kitchen ideas we have to offer. We are conveniently located in Easton, servicing the Lehigh Valley, Allentown, Bethlehem, Northampton County, Bucks County and beyond.